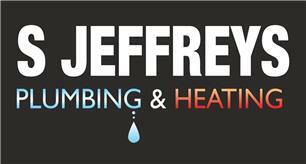 S Jeffreys Plumbing And Heating - Central Heating Engineer, Plumber based in Cheltenham, Gloucestershire. S Jeffreys Plumbing and Heating, a family firm ensure their excellent reputation by providing an exceptional service on all work undertaken, regardless of size from a small domestic job to a corporate installation. Our fully insured Gas Safe qualified professional engineers will manage the whole process for you from quotation to completion, giving you piece of mind. Whatever you Plumbing and Heating needs gives us a call to discuss your individual requirements.